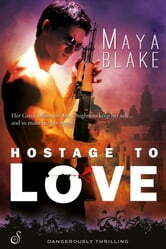 On an idyllic Greek island, danger surfaces...and passion re-ignites. During a charity mission to a war-torn African country, Belle Jones is kidnapped by the vicious rebel leader determined to make her his. Belle's estranged husband, Greek billionaire Nick Andreakos, stages a daring rescue, saving her from the horror. To hide her from the obsessed kidnapper—and to repair their broken relationship—Nick whisks Belle away to his private island paradise. But she still won't put up with his controlling ways...even if she's still defenseless against their scorching-hot chemistry. With the brutal killer hot on their heels, Nick knows he must earn Belle's trust again—and fast. Even if it means risking everything. And losing his heart forever.